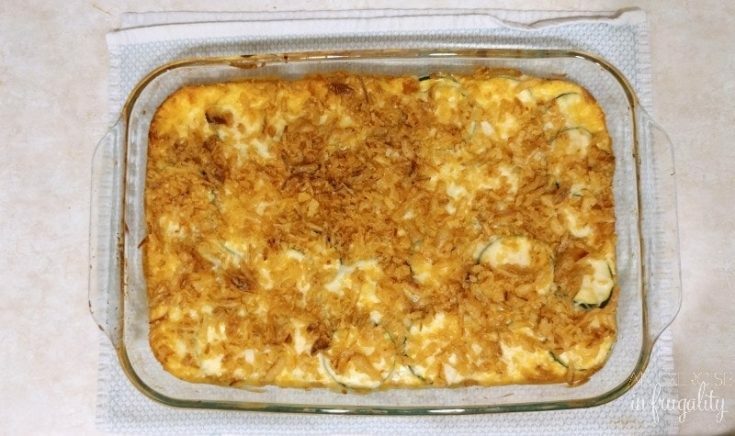 This cheesy, au gratin zucchini recipe is the perfect delicious side dish when you’re craving comfort food with a healthy twist! This post is sponsored by Crystal Farms® Cheese but the content and opinions expressed here are my own. If you’ve seen my recipes, you know that many of them are low carb. We try to keep the carbs to a minimum around here whenever possible. That’s why we make healthier swaps, like trading zucchini for potatoes. We love a good potato dish, but sometimes you just gotta have a healthier alternative. And sometimes you gotta have brownies. Life is about balance guys. I wanted a delicious side dish that would taste like comfort food, cheesy delicious comfort food, but still be somewhat healthy. That’s the dream, right? 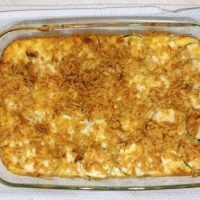 I did a little playing around, some research, and came up with an au gratin zucchini recipe that I think you’re gonna love! It’s cheesy and creamy and delicious, yet still packs in a bunch of veggies. It’s so good though, your kids will happily chow down not even noticing that it’s zucchini! How do I know? Mr. Frugality isn’t exactly a big fan of zucchini and even he had a big helping! It’s really simple to make. There’s an optional step that I think really makes the finished product perfect, which is blanching and blotting the zucchini slices. It’s not 100% crucial, you can make this in a hurry and skip this step, however I feel it really yields a better dish if you do this step, so I am going to recommend it, and I’ll spell it out for you below. It’s not hard, just a little extra time, but I think it’s worth it to avoid mushy, watery zucchini! I’ll explain this all here, and then the printable recipe will be available below. If you know how to blanch already, you can skip this part and go right to the printable. I’ll meet ya down there! 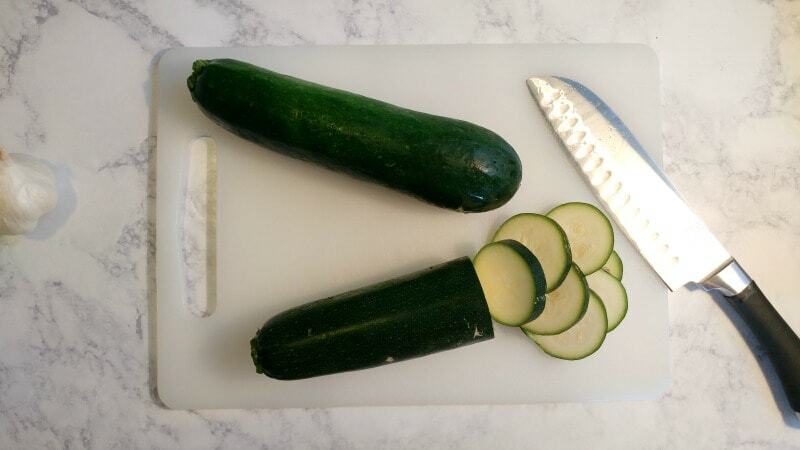 Slice four zucchini into coins. They should be about the width of two quarters stacked. Set aside. Finely dice one medium yellow onion, set aside. Mince 2 cloves of garlic or use a garlic press. Prepare a large bowl of ice water. You’ll want one big enough to fit all your zucchini slices. In a medium pot, bring water to a boil. Use a large enough pot to accommodate the zucchini, and enough water to just cover them. When the water hits a rolling boil, drop the zucchini in and boil for one minute. When the minute is up, drain the zucchini into a colander and immediately plunge into the ice bath. Drain your zucchini, and place in a single layer on a stack of paper towels. Pat the top dry with more paper towels, then sprinkle with a small amount of salt. Take the pot you just emptied, add the butter, diced onion and garlic and saute until translucent. 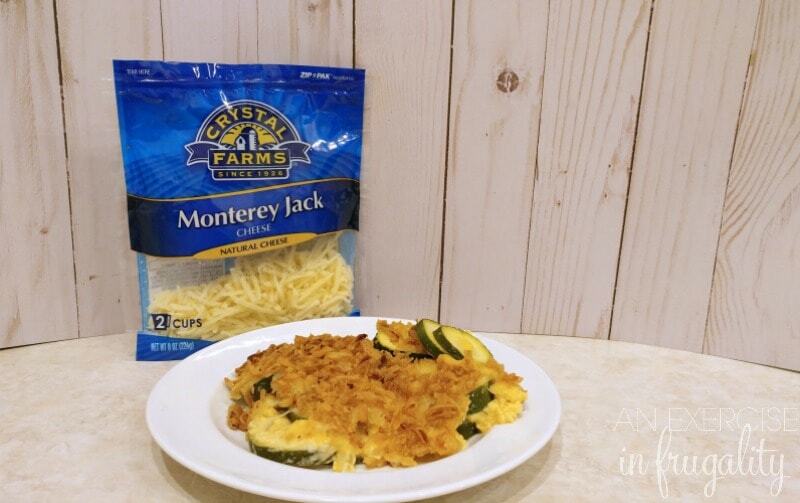 Add your Crystal Farms® cheese (I used the Cheddar Jack blend, but you could use mild, medium or sharp cheddar depending on your tastes), heavy cream, eggs, seasonings and whisk until melted and creamy. Remove from heat. 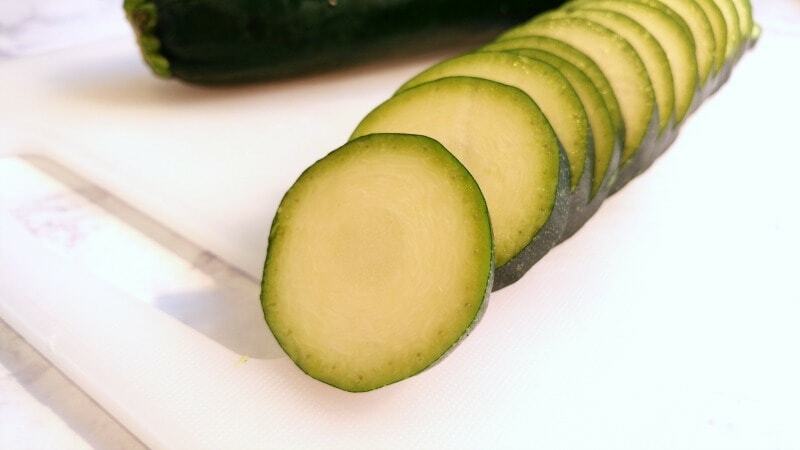 Pat your zucchini slices one more time to remove any water the salt drew out. Transfer the zucchini slices to a baking dish, layering if needed (try to stagger them so that the sauce and cheese cover all the slices). Pour your cheese mixture over the top. Sprinkle with MORE Crystal Farms cheese if you’re feeling particularly saucy, and top with the crushed fried onion strings. You can use breadcrumbs if you prefer, but since this is a low carb dish, we use the onion straws, plus it adds a nice little flavor in addition to the crunch! Put the whole thing in the oven for about 20-25 minutes until golden and bubbly. YUM! This is already a new favorite in my house. The only sad part is, because zucchini is so delicate, it doesn’t hold up well as leftovers. We had it again the next day reheated and while it still tasted incredible, the zucchini softened quite a bit, but if that doesn’t bother you then make extra because this dish will go FAST! If you make this recipe as written it is gluten free (if you use gluten free onion straws, and Crystal Farms cheeses since their products are all gluten free! ), and it’s a low carb recipe too. I used Crystal Farms cheese for this recipe because it’s made by cheese lovers (aka: people after my own heart) and it’s made locally right next door in Lake Mills, Wisconsin! And you can score FREE Crystal Farms cheese because I’m giving away THREE free cheese coupons (that’s a tongue twister!) to one lucky reader to try out Crystal Farms cheese for themselves. All you have to do to enter is to go to this link, and tell me in the comments below which recipe you’ll create if you win the free cheese coupons! I’ll pick a random winner soon! 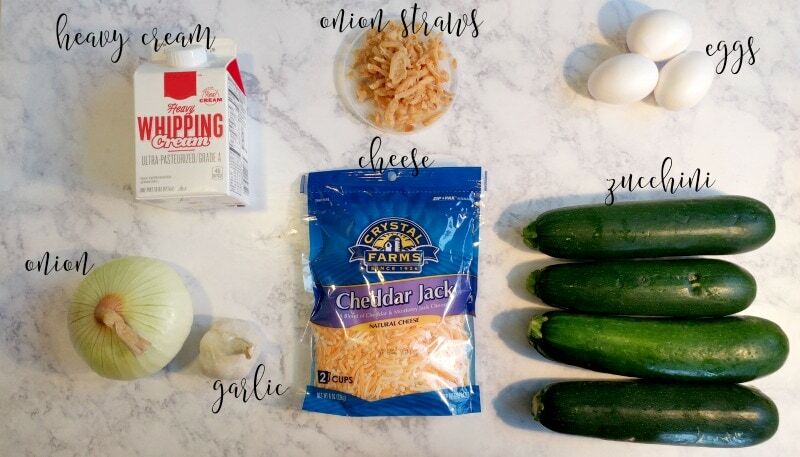 Cheesy, delicious and low carb friendly Au Gratin Zucchini is the perfectly delicious keto side dish you family needs! What’s your favorite cheesy recipe? 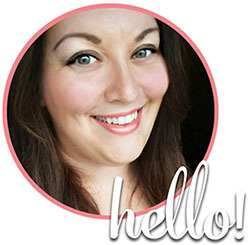 You can find more delicious recipes here as well, including all of my other low carb recipes! This would be fantastic as a side dish with my Beef Cross Rib Roast recipe (it’s so easy)! 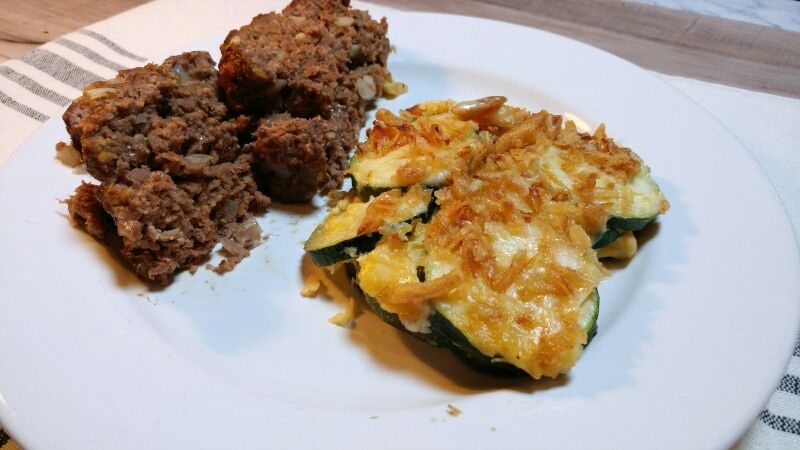 Be sure to pin this amazing au gratin zucchini recipe! That’s a big pan of cheesy deliciousness! The Bacon Cheddar dip sounds like a good one for holiday parties! I’d like to make the Texas 5-star Chili with the Marble Jack cheese. I would use the shredded three pepper variety to make an oven baked macaroni and cheese, topped with that almost burnt, crispy, golden brown layer of cheese on top. Hey Tim! You were my randomly chosen winner! Email anexerciseinfrugality@gmail.com with your full name and address no later than 11:59PM CST on 12/30 to claim your prize! It will be sent directly from Crystal Farms.